You are cordially invited to attend the 8th annual Teens With a Purpose fundraiser gala to benefit Hampton Roads Youth served through TWP’s year-round, free programs and events. 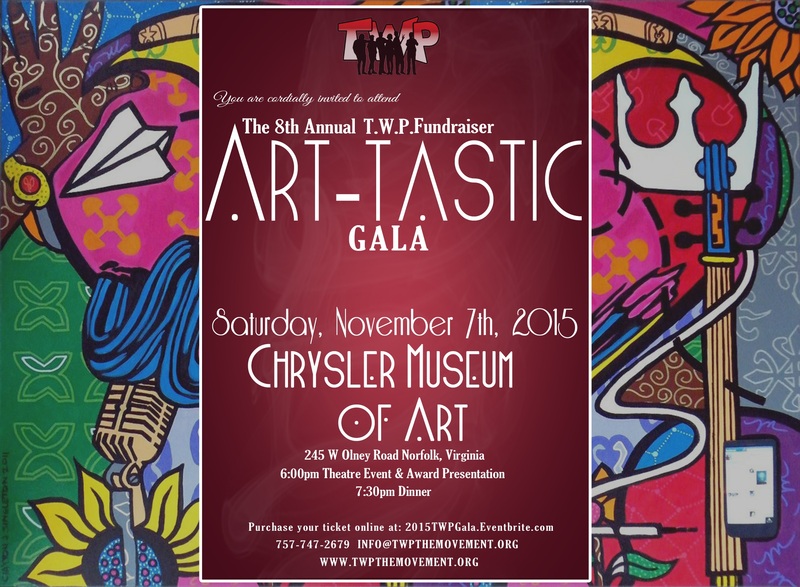 The evening features an Art-tastic theatrical performance, award presentations and silent auction, live music throughout dinner with keynote speaker Clayton Singleton, celebrated visual artist, poet and educator. The evening concludes with dancing with a live music. Just Aart The Series Takes the Youth Voice & Art to Virginia Beach!